Urdu is the representative language of our Gnaga Jamni culture. Therefore, any action from any corner that appears to be harming the linguistic status of Urdu is bound to invite [angry] reactions. To link and associate a language with any religion is not a good thing but when a governmental or semi-governmental institution, from its action, proves that Urdu language belongs only to Muslims then, naturally, fingers would be raised at such an action. We have no idea why in this 20-member body non-Muslim experts of Urdu have been ignored but we are aware of how painful this decision is for those Urdu lovers who are not Muslims but their love and dedication for the cause of Urdu and its promotion is beyond any doubt. NCPUL is a prestigious organistion that knows full well that the relationship with Urdu of its lovers transcends the limits of faith. [Without doubt over the years] This organisation has taken special interest in and worked hard to broaden and expand the reach of Urdu. 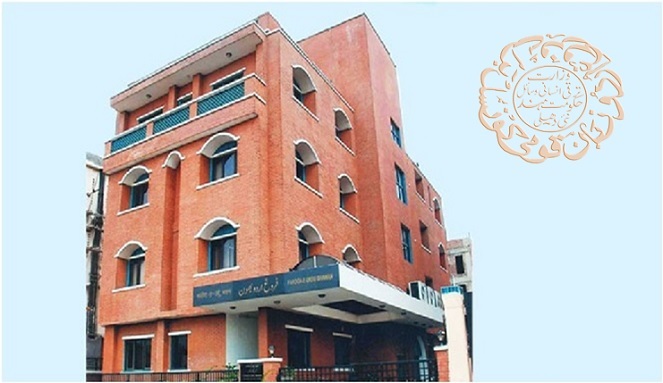 [In view of its] commendable and laudable work in the past it can [justifiably] be said that some reckless and unthoughtful actions taken by NCPUL are damaging its reputation and prestige of this organisation. Those who think that Urdu is the language of Muslims only, may not have any objection on the formation of the governing body of NCPUL but the list of the members of the governing body [all of them Muslims] will have deeply hurt all those who [rightly] believe that this is not the language of a particular religious community or class. [Sadly] the message conveyed through the list of the governing body of NCPUL is that at present, from Kanyakumari to Kashmir, not even a single expert exists who is not a Muslim and whose love [and services] for the cause of Urdu is worthy enough to be given due recognition and on the basis of which he may be considered eligible to be a member of the governing body. Contrary to this, there are dozens of personalities ignoring whom is beyond comprehension but [notwithstanding their contributions and their services] they have been overlooked. An off the record comment on social media by a member of the present governing of NCPUL says that that this is a ‘coincidence’. One wonders how on earth after months of preparation and deliberations in preparing the list could such a ‘coincidence’ take place? And if this is at all a ‘coincidence’, is the rectification of this accidental error not necessary? We are aware of the stand of the NCPUL authorities on this issue. The silence of the present Director of NCPUL who, in comparison to the past directors, is far more active on social media, sounds [pretty] meaningful.